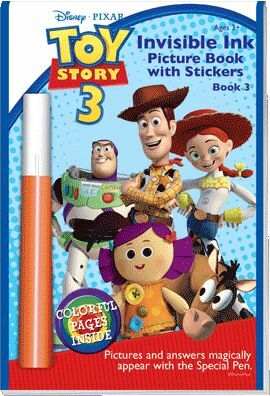 Your favorite Toy Story characters come to life with this Invisible Ink book. 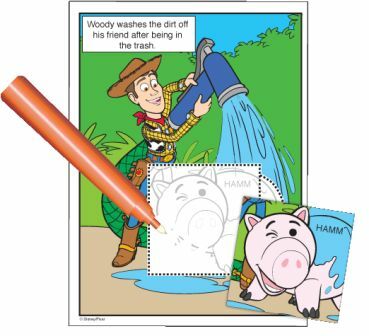 Use the Invisible Ink Pen to fill in the dotted areas revealing invisibly printed pictures and answers. Then match your stickers to the appropriate spot. 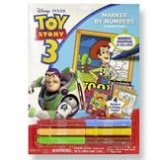 23 pages of Toy adventures!